Here’s a quick story about how we became Fillr. It’s been a crazy journey over the past couple of years. While traffic was constantly soaring and revenue and profit was increasing, we had an idea to take the core principle of what we were doing with 1Form (letting consumers enter their information only once for rental properties) and apply it to virtually every industry and country in the world. Armed with millions of dollars in cash from the 1Form sale (a far cry from the $30,000 we started 1Form with), and a brilliant team around us, we began building an app we called Pop! Almost immediately, we went from a niche filled with rainbows and unicorns, to a zombie–filled massacre of spraying bullets everywhere… how did we not see the writing on the wall? Pop! was a mobile app that allowed you to send your personal information from your smartphone to any business you liked once. You wouldn’t have to repeat your information again — if you updated your credit card, or moved home, all you had to do was tell as many businesses as you liked, through Pop! The vision was bold, but complicated. It required business to have a little widget installed in their systems before consumers could actually use the app. Of course businesses would not install the widget until we had consumers on board. How the hell can we get consumers to use an app that requires business integrated with it before it has a use. We thought we could fix all of this with our secret weapon. We had concocted a crazy launch stunt that we poured hundreds of thousands of dollars into, that would see me risk my life by literally swallowing a tiny computer to launch a product that you can’t yet use and don’t understand… what could possibly go wrong? We did the stunt and downloads start going crazy! I thought we’d found a way to kill the zombies. But after just a day, the downloads slowed. And then they stopped. To say that the days following the launch stunt were a ‘low point’ is a gross understatement and having to keep an eye on my own faeces, looking for a small computer, certainly didn’t help my mental state! But I’m grateful for that journey, because zombies can teach you some extremely valuable lessons. We learned to focus our energy on the single thing you can do that will have the most effect. So rather than trying to fill them full of bullets in the legs, arms or chest… you simply need a single shot to the brain. After looking at the data, we found our single shot to the brain — next–generation autofill for mobile. So that’s how we got to Fillr, and it’s proving to be a fantastic success. Since we launched our public beta, people have collectively filled thousands of forms across the web from their iPhone's collectively saving you what would have been millions of keystrokes. The zombies are down and we reckon they’ll stay that way. 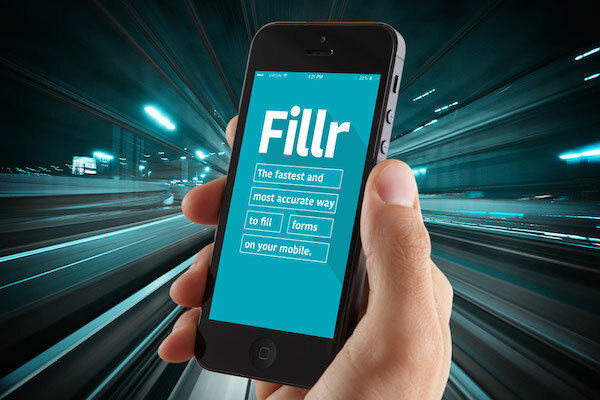 Download Fillr now from the App store.